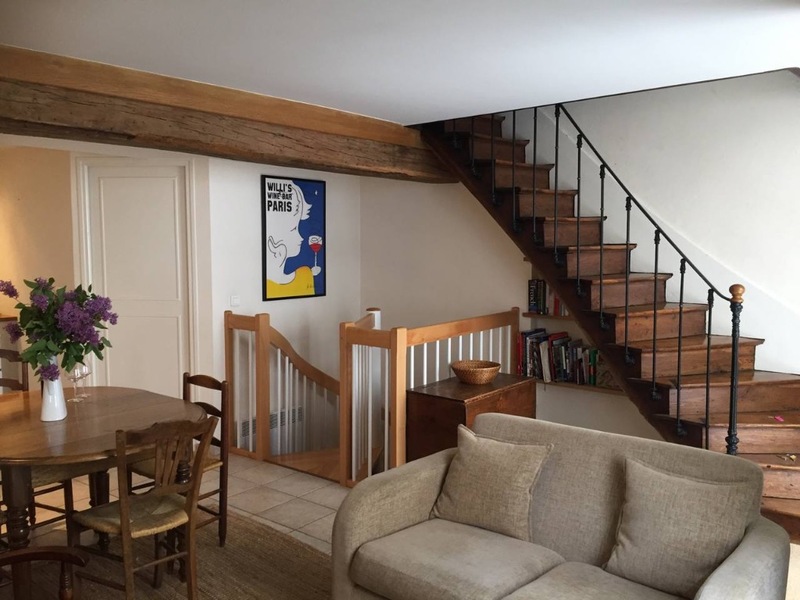 The sympathetic renovation combines old with new - original oak beams, stone walls and old stair cases with more modern aspects, such as a sky light in the attic room and modern comforts throughout the house. 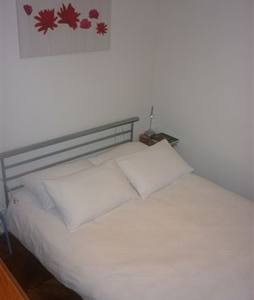 Downstairs – open plan living and kitchen area and separate utility room with washer dryer and separate WC. 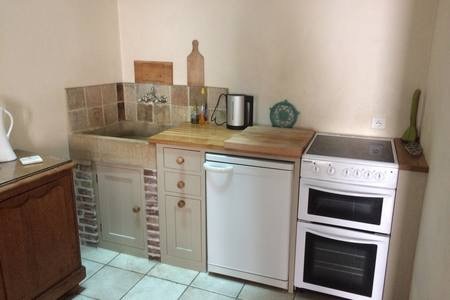 Fully equipped kitchen and music player. 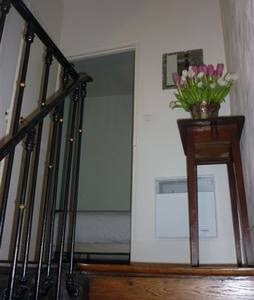 Stairs down to cellar. 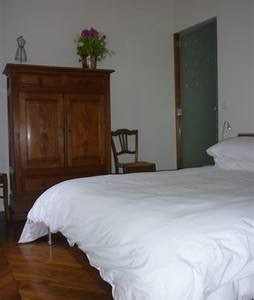 2nd Floor – large spacious attic room with impressive skylight, double futon bed and sink. 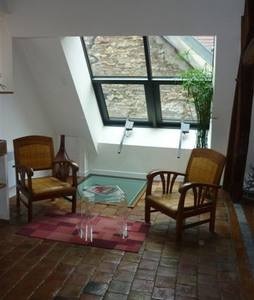 This room can be used as a reading and relaxing room or as a 3rd bedroom. 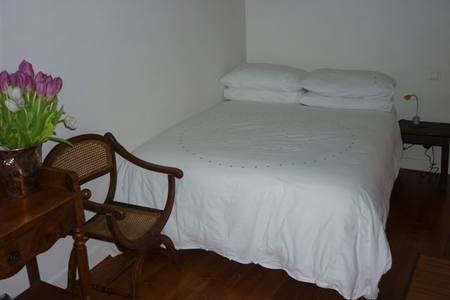 Baby bed and highchairs available on request. 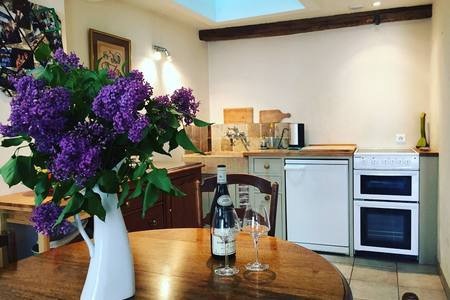 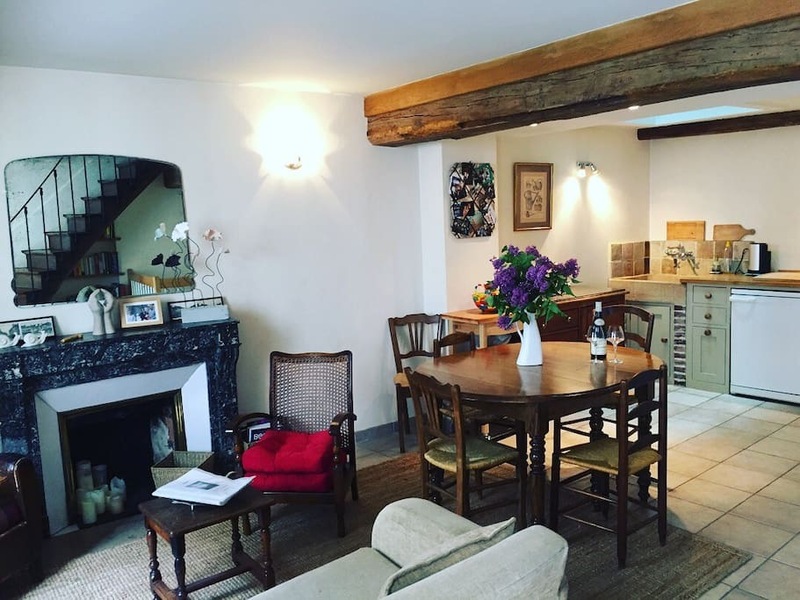 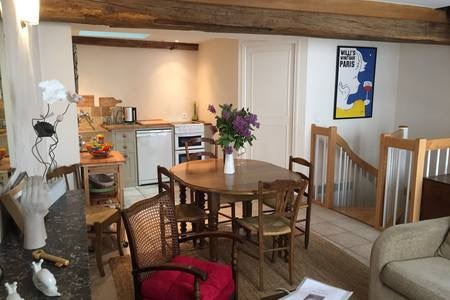 The house is in very short walking distance along cobbled streets to local bakers, wine bars, cafes and over 50 restaurants and also the magnificent Hôtel-Dieu. 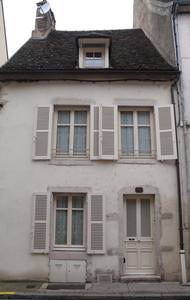 Car parking is either ‘on street’ or in one of the carparks in and around the town. 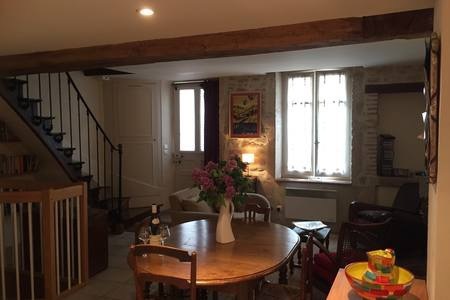 You will be enchanted by this lovely, cosy home in the heart of Beaune, and it is waiting to welcome you for your stay.